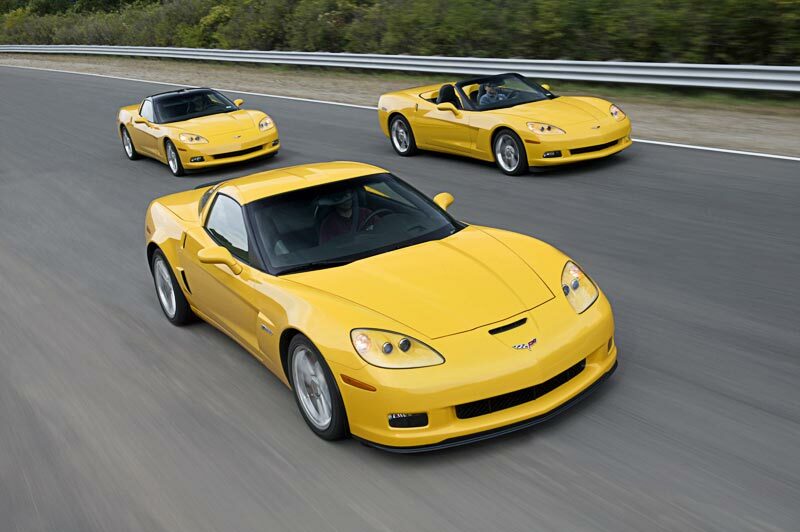 The year off was a good thing as when the Z06 became available, it was truly something special. The engine displacement was 427 cu. in. 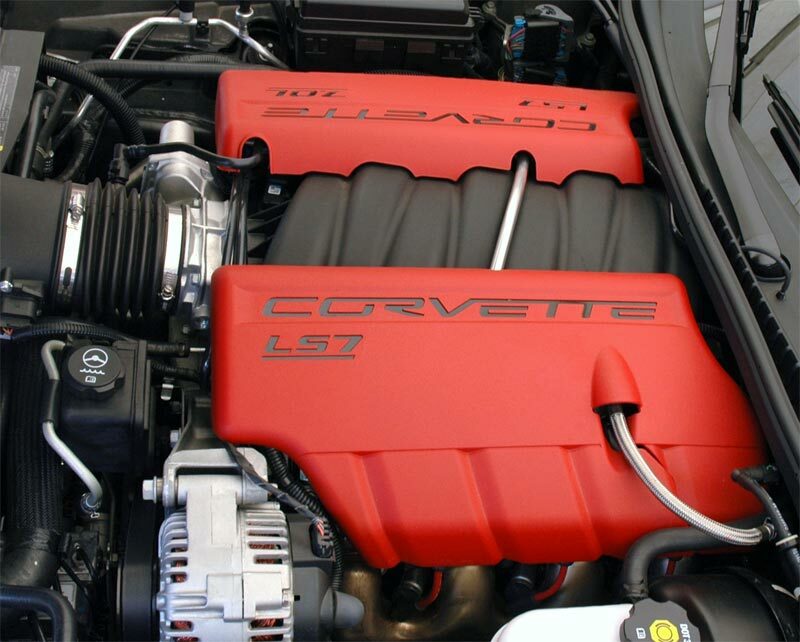 (7.0 liters), a magic number for Corvette fans that recalled fond big block memories not seen since 1969. 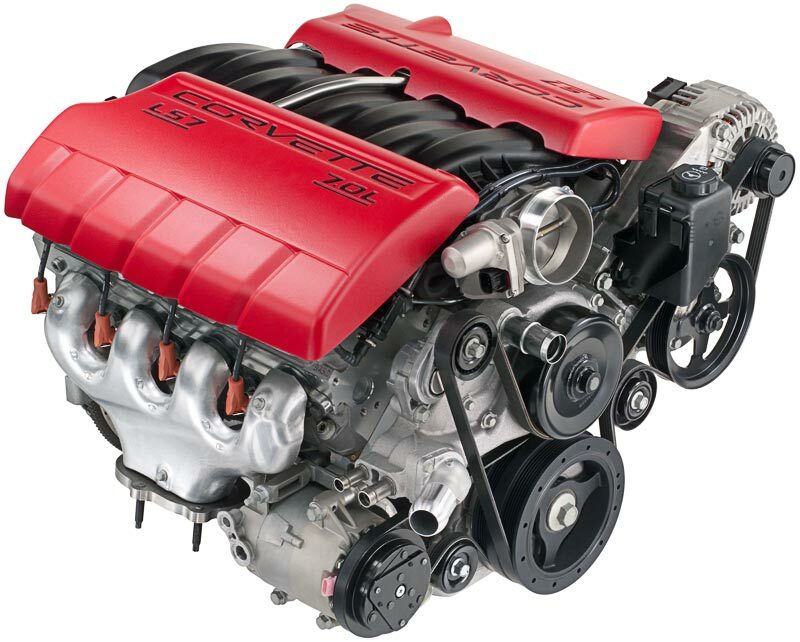 The 2006 iteration was a different displacement on the Gen IV "small block" engine, not a separate engine family as with the C2 and C3 Corvettes. The 2006 Z06 motor could honestly be described as a race car engine that was street legal. The specification sheet had a lot in common with what was found in the C5-R racing engine that won the GTS class at Le Mans and the 24 hours of Daytona overall. 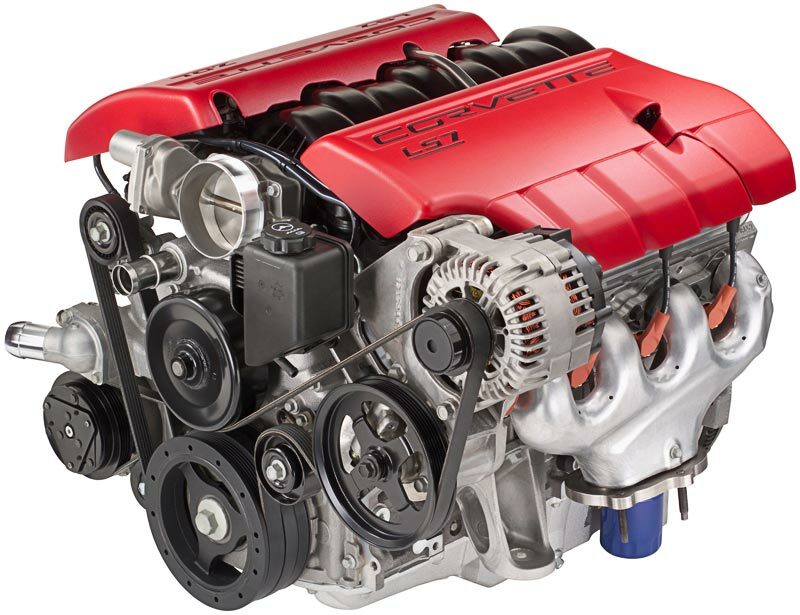 On the 2006 corvette z06 specs list was titanium connecting rods, CNC ported heads with titanium intake valves and sodium filled exhaust valves, an 11.0:1 compression ratio and cast aluminum flat top pistons. Possibly the most impressive feature of the Z06 motor is visible from the outside by comparing the Z06 motor to any other Corvette motor. There is no oil cap on the engine cover. 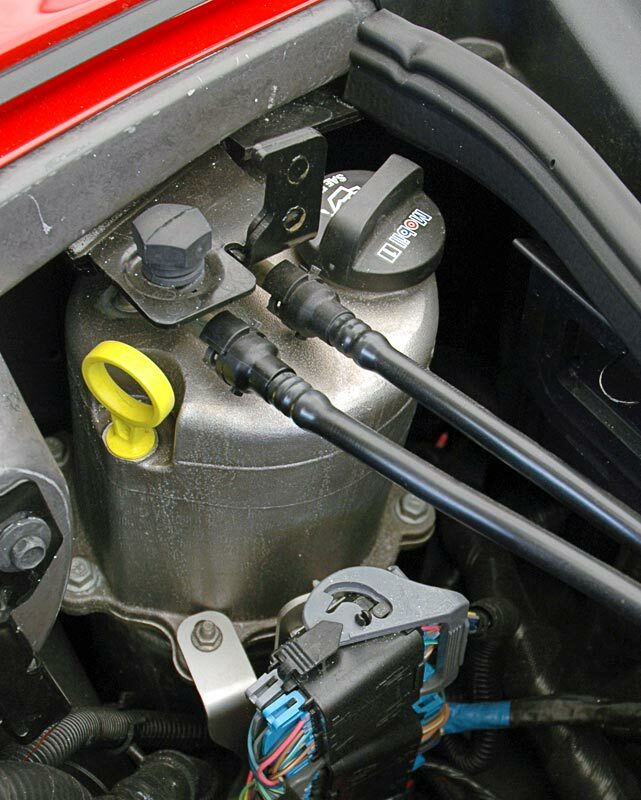 That's because the Z06 has dry sump lubrication, an advanced and expensive addition that consists of a separate eight quart oil tank (above right, with the oil fill cap, and the oil level dip stick; complete system is to the right) and a pump to feed the engine oil. 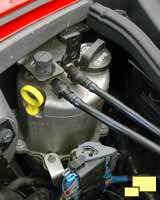 Not storing the oil in a sump at the bottom of the engine prevents oil starvation, which can occur in competition under sustained high speed cornering. Although common in race cars and high dollar exotics, dry sump lubrication is typically unheard of in cars costing less than $100,000. The oil tank takes the place of the battery which was moved to the luggage compartment. 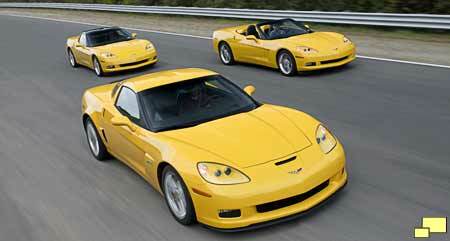 Notes: Base Corvette Coupe with 346 cu. in. 400 hp engine and six speed manual transmission: $44,600.00. Base Corvette Convertible with 346 cu. in. 400 hp engine and six speed manual transmission: $52,335.00. Base Corvette Z06 Coupe with 427 cu. in. 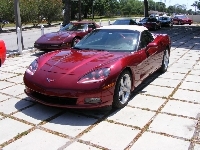 505 hp engine and six speed manual transmission: $65,800.00. Notes: All colors available with Z06 except codes 10 and 80. 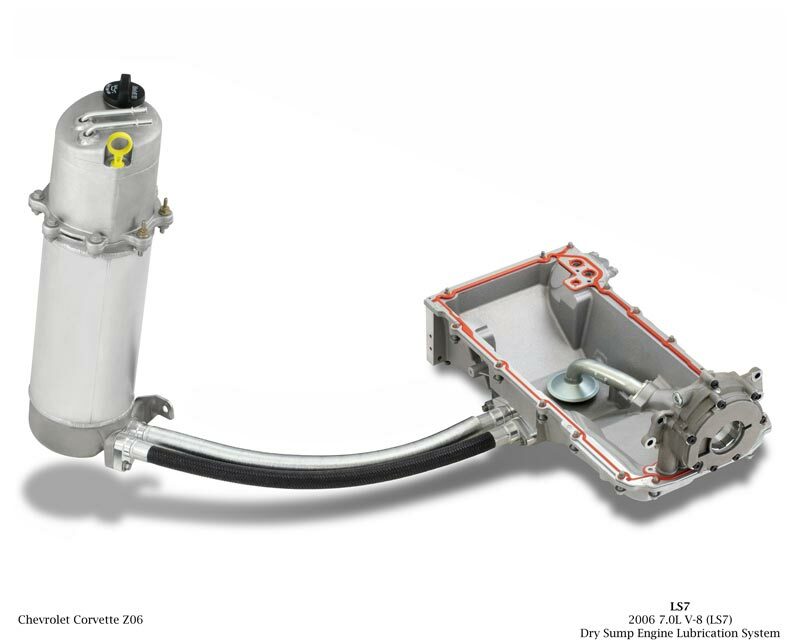 What does the memory package include on a 2006 3LT convertible?